Google Pay, an online payment platform developed by Google has officially added a new feature to the app, wherein the customers can book their train tickets directly from the app itself. 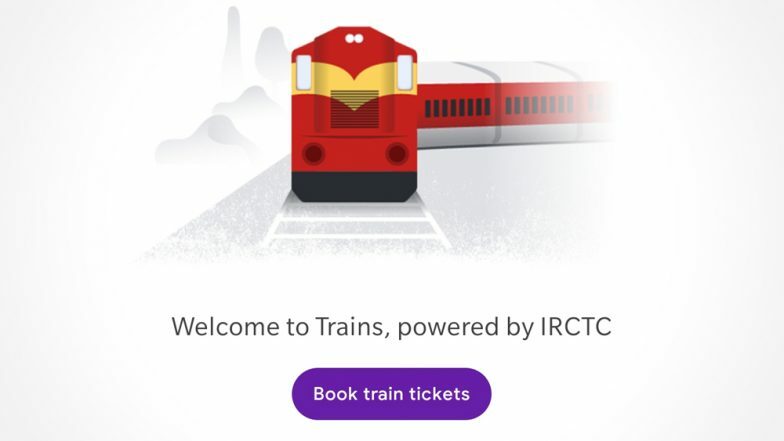 Offered on both Android and iOS platforms, this new feature for buying Indian Railway tickets is powered by Indian Railway Catering and Tourism Corporation (IRCTC). This new feature on the application can be accessed by just tapping on the ‘Trains’ option under the Businesses section of the app. Xiaomi Launches UPI Payments App ‘Mi Pay’ in India, Will Take On Google Pay and Paytm. The new IRCTC ticket purchasing feature in Google Pay offers many options for the users wherein they can not only search for the train tickets but also can book the same. Moreover, the users can also employ this feature for cancelling their train tickets. The users will also be able to check seat availability, journey duration, travel time and much more in the Google App itself. To access this new train booking feature, the users will require an IRCTC account. Google Pay $40 Million for Fossil's Secret Smartwatch Tech. 1. Firstly, you need to download the Google Pay app from the Play Store and log in to set up your account. 2. Now, you need to search for ‘Trains’ chat head under the Businesses section of the app. 3. 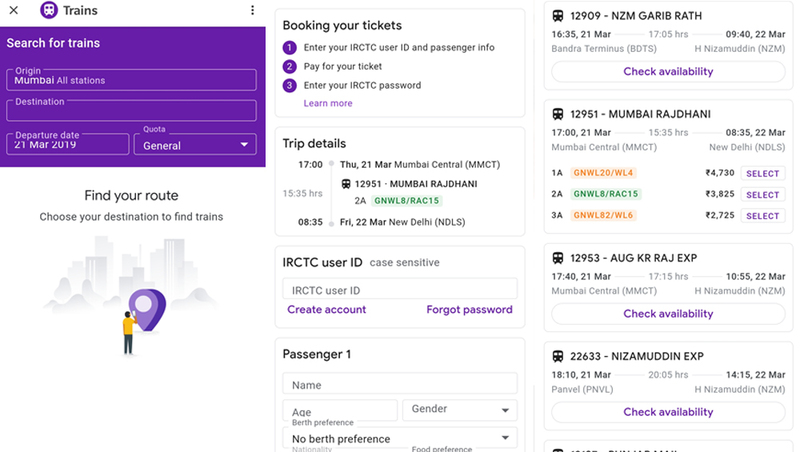 By tapping on ‘Book Train Tickets’, you will be directed to a new page wherein you can search for the trains by providing details like origin, Destination, date of travel and Quota. 4. After providing the necessary details, select the train ticket you wish to book and then tap on the ‘Check Availability’ button. 5. The next step requires you to select the travel class followed by verifying IRCTC account details. It is important to note that you will have to create an account, if in case you don’t have any. 6. After this, you have to enter passenger details and confirm the same by tapping on the continue button. 7. Select the mode of payment and continue. After entering UPI PIN, and you will be directed to IRCTC’s official website. 8. All you need to do is enter IRCTC password and enter the Captcha code. 9. Now select – submit option, and your train ticket will be booked. You will receive an official confirmation from IRCTC once the ticket is booked. You can save the train ticket or download the same.